"Server Core" is a command line only version of Windows Server 2008 - "Windows without windows". 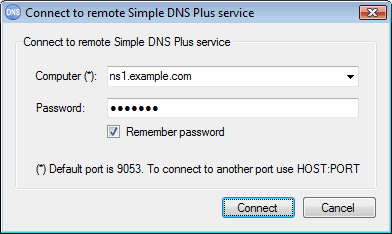 You can install and run the Simple DNS Plus service (v. 5.2 and later) on Server Core and manage this from another PC through the Remote Management feature. Simple DNS Plus requires the .NET Framework 2.0 which is included in Windows Server 2008 R2 Server Core. Note that the original version of Windows Server 2008 Server Core (pre "R2") does not include the .NET Framework. 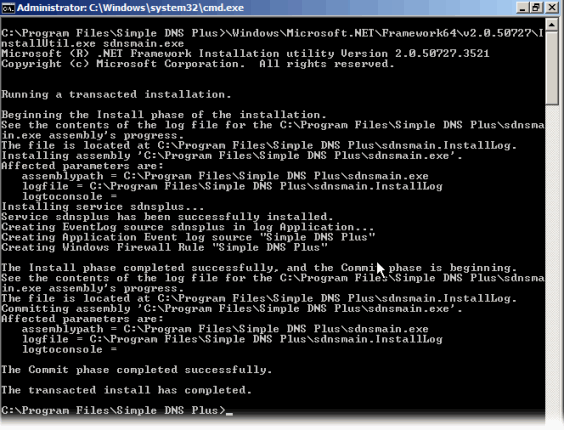 For now, installing Simple DNS Plus on Server Core requires several steps as described below. 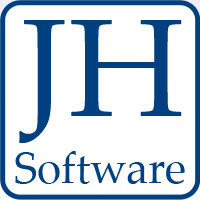 Future updates may include a more automated installation process. First install Simple DNS Plus on a workstation PC (with full GUI version of Windows), then copy the directory where Simple DNS Plus was installed (typically "c:\program files\simple dns plus") to the same location on the Server Core computer. Technically you don't need the GUI based .exe files, but it is easier just to copy the whole directory. Then on the Server Core computer, run the .NET "InstallUtil.exe" utility on "sdnsmain.exe". You can now manage the Simple DNS Plus service on the Server Core computer just like a local instance of Simple DNS Plus. Does this also work on Windows 10 IoT Core for Raspberry Pi 2 ? I am pretty sure that it won't work as is. But it might actually be possible to rework it for this as (I think) the core elements (.NET framework) were recently also made available for that platform. We will have to take a closer look at this.